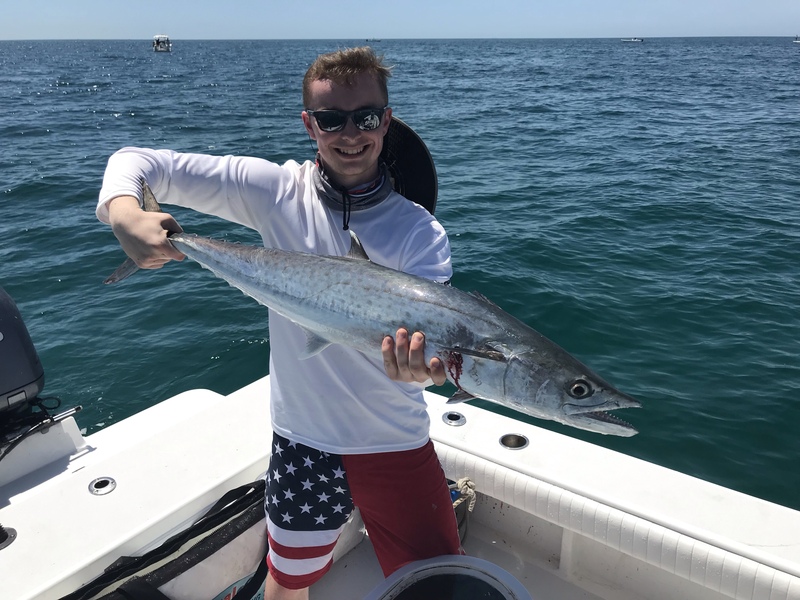 Beautiful warm and calm weather here on St Pete Beach has allowed for us to run out into the Gulf of Mexico and search for kingfish. 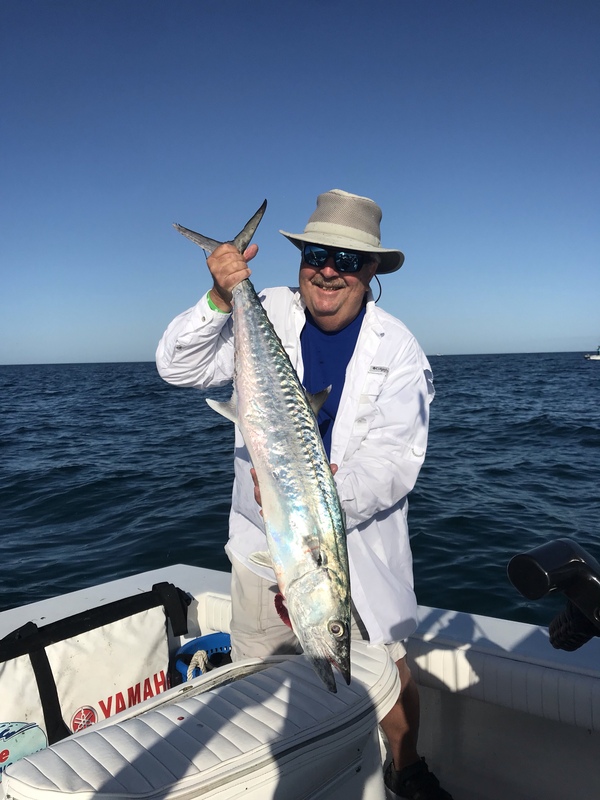 Within eye sight of the beach we have been catching these king mackerel anywhere from 5 – 25 pounds with even larger fish around. 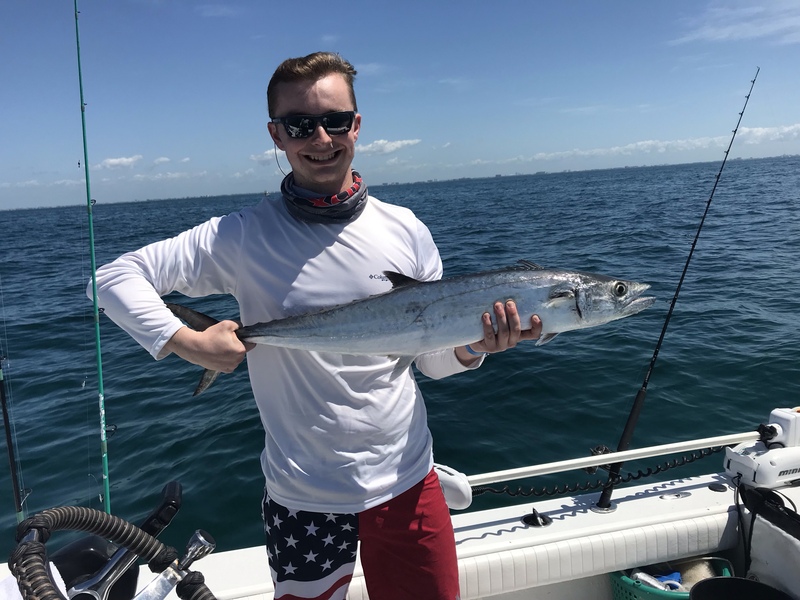 Many of the fish we’ve landed have been within swimming distance of the condos my clients have been staying on in St Pete Beach! We’ve been catching our fish trolling live bait using conventional tackle, 25 pound mono line and a #3 stinger rig. The best baits have been live scaled sardines, mullet, blue runners and Spanish sardines. Slow trolling baits at less than 2 mph has been most effective. 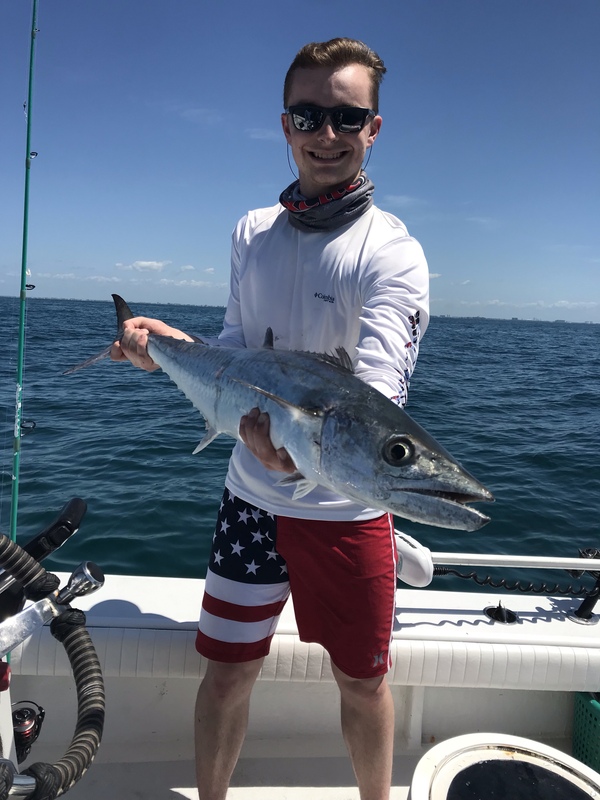 When conditions are right we’ve also been anchoring and chumming the fish to the boat, when this happens we are able to catch them on light spinning gear as well. 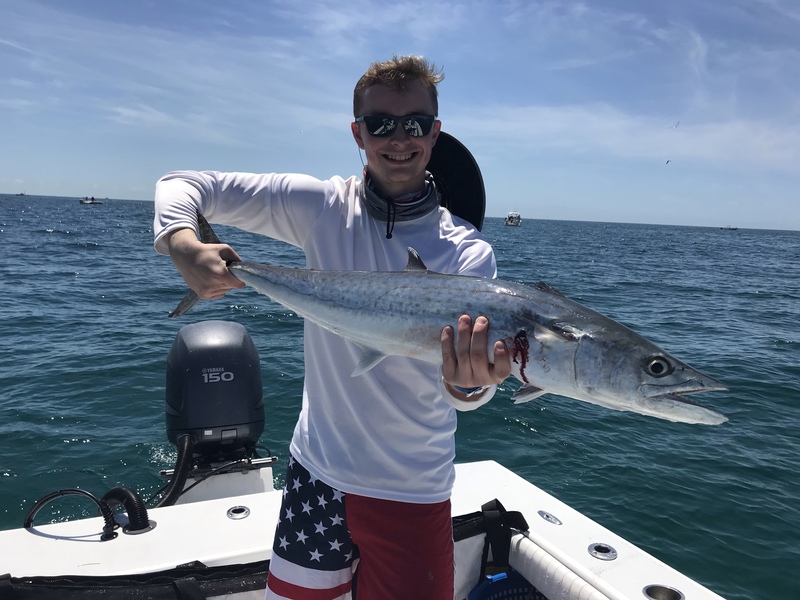 Not only are these smoker kingfish fun to catch but they are good to eat and provide ample meat when harvested! Many times one fish can feed an entire family. There are several restaurants in and around St Pete Beach that will cook your catch for a nominal fee! Kingfish don’t freeze well so it’s best to keep what you’ll eat while in town. Here are some photos from a few of our catches today (3/31) from both my morning and afternoon trips. As you can see, we had great action all day long! These fish are migratory and are always moving, which is why hiring a fishing guide who is always out there is so important.